Motorized printing + precise guide leading, preset printing stroke margin, stable printing. Screen micro adjustment is equipped on frame holder structure. Unique design the motorized screen vertical traveling, rapid and stable motion. Emergency stop safety bar + unloading heavy system + inter lock error diagnosis for comprehensive protection. 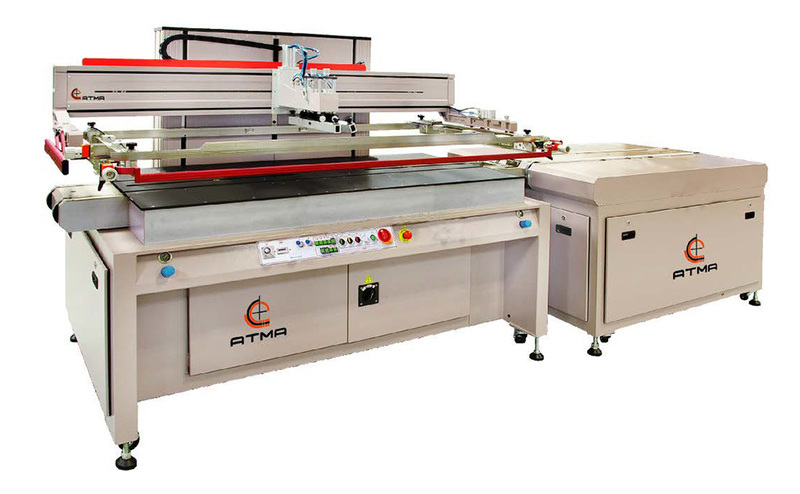 Maximum printing area 700mm x 1500mm 27" x 59" 700mm x 2000mm 27" x 78"
Max O/D frame size (DxW) 1000mm x 1820mm 39" x 71" 1000mm x 2320mm 39" x 91"